A Mediterranean inspired retreat on the Southern California Riviera; La Valencia is an icon of Hollywood Glamour style. La Valencia's rooms and suites are the essence of vintage luxury, calling to mind eras past, while providing all the modern luxury appointments today's travelers demand. 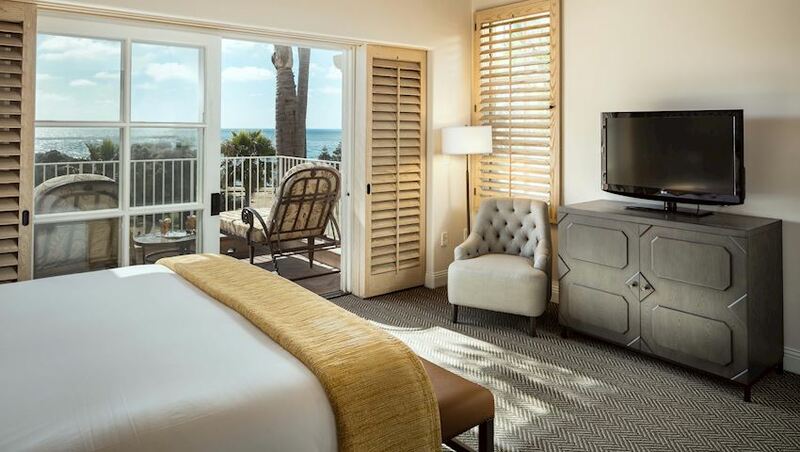 Euro-style bathrooms with luxury amenities, imported linens, designer furnishings and Pacific Ocean views greet guests on arrival. 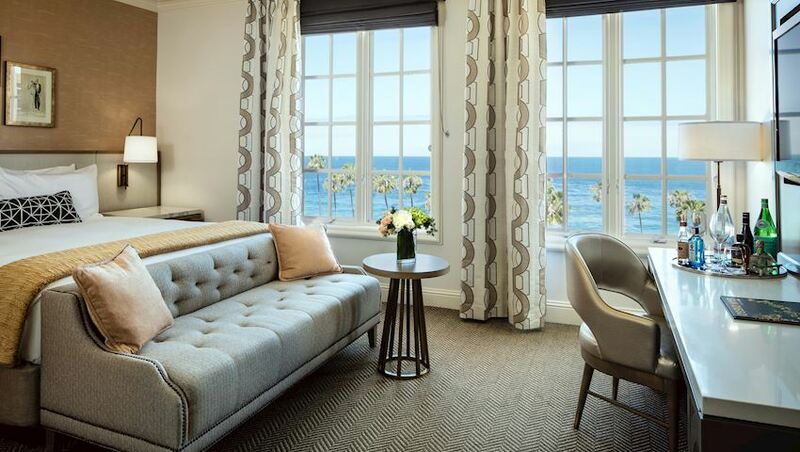 Find your perfect hideaway just steps from the La Jolla Cove shoreline in one of our private villas, or choose one of our ICON Collection suites including the Sky Suite with sweeping views of La Jolla and the coast in all directions, our spacious and luxurious La Valencia Villa, or the contemporary Pacific Suite. 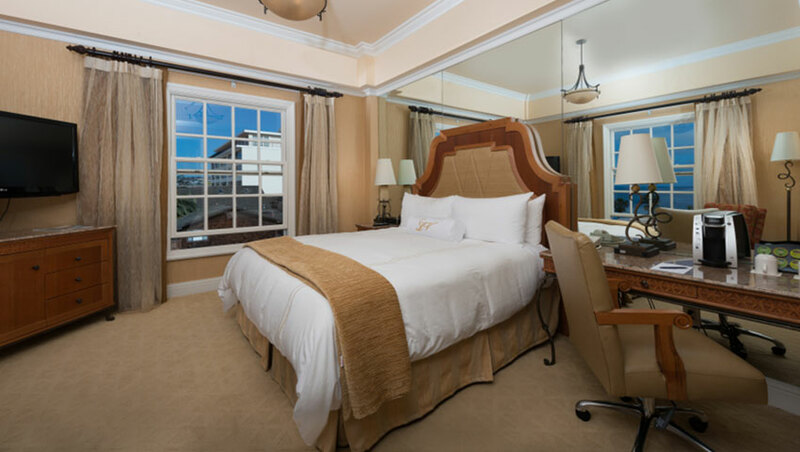 Vintage rooms at La Valencia epitomize elegant, chic comfort in cozy and efficient surroundings. Approximately 250 square feet, signature king beds command the room, which includes a work desk, dresser, imported linens, honor-bar, and club chair. 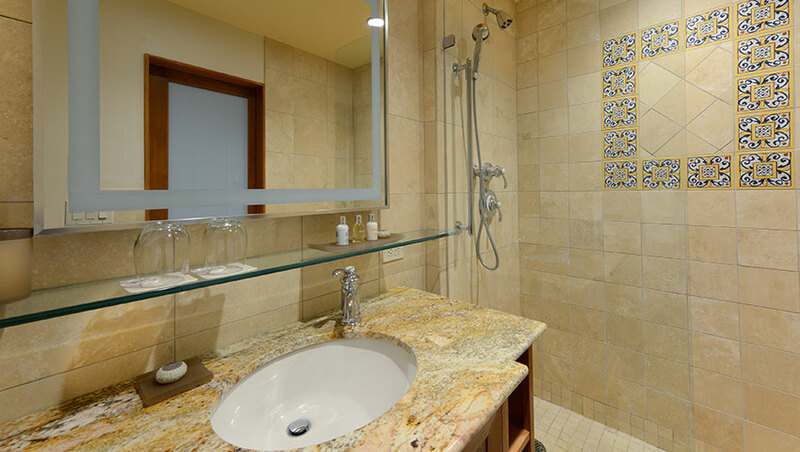 Euro-style bathrooms feature standing showers with dual showerheads and luxury bath amenities. Relax in these residentially inspired, spacious accommodations, ranging from 400 - 850 square feet. 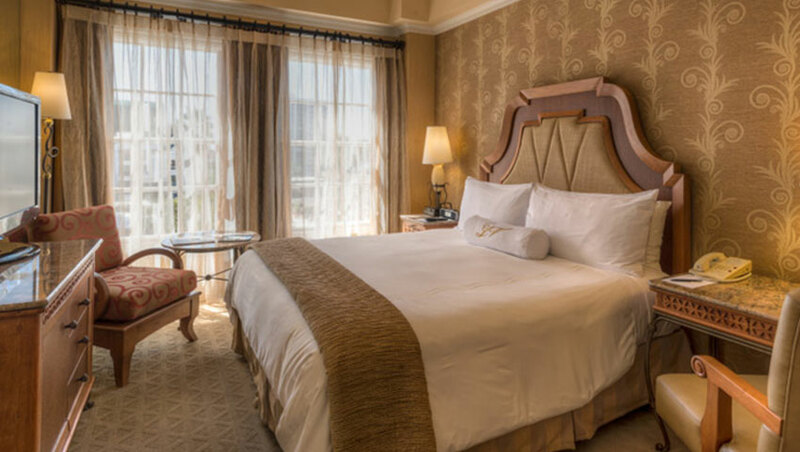 These rooms feature king beds and luxury bathrooms, imported linens, down comforters, a plasma HDTV, Keurig coffee makers, an extensive honor-bar, luxurious La Valencia robes and chic bath amenities. La Valencia's Villas, spacious and luxurious, are privately situated adjacent to the hotel's ocean front pool and deck, offering picturesque ocean views or private garden views. Light and airy, these private retreats range from 400 to 1200 square feet with generous bathrooms offering separate Jacuzzi tub and shower, and duel sinks. Richly appointed with comfortable furnishings that create a home-away-from home atmosphere, La Valencia's Villas go above and beyond ordinary luxury. The height of luxury, La Valencia's ICON Collection includes the stunning, sky-high penthouse suite known as the Sky Suite, with sweeping views of La Jolla Cove and the Pacific. Iconic, culturally refined and globally appealing, this elite luxury room category also includes the expansive, La Valencia Villa and the apartment style, Pacific Suite, each with stunning ocean views.